Out with the old year, in with the new. That applies to most everyone and everything, including Uncle Sam. Before you close your books on 2014 and head off for holiday festivities, make sure those books are in order first. That means catching up on a few tax changes that will affect what investors can and can’t do with certain retirement vehicles once the ball drops on 2015. Earlier in 2014, the Internal Revenue Service announced it would significantly reinterpret regulations on 60-day rollovers for Individual Retirement Accounts (IRAs). Starting January 1, the IRS will allow only one distribution per taxpayer every 12 months to be rolled over within 60 days, tax- and penalty-free, to another IRA. Previously, you could take 60-day rollover distributions from as many IRA accounts as your heart desired, as long as the same assets were not distributed. Still a little fuzzy on what this all means? We’ll try to help. But first, a little background. This rule change stems from a federal tax court case originating several years ago involving a New Jersey couple. A judge ruled that the pair had been effectively using 60-day rollovers as a tax- and interest-free loan by juggling funds from account to account. The IRS aims to close that loophole with the new rule. Beginning in 2015, if you receive a distribution from an IRA of previously untaxed amounts, you must, in most circumstances, include the amounts in gross income if you made a 60-day rollover in the preceding 12 months. You also may be subject to the 10% early withdrawal tax on the amounts you include in gross income. Additionally, if you pay the distributed amounts into another (or the same) IRA, the amounts may be treated as an excess contribution and taxed at 6% per year, as long as they remain in the IRA. Whatever your feelings on our tax system, we can say this for certain: There is no such thing as small change when it comes to IRAs, which are one of the primary means Americans use underwrite their golden years. As of 2012, some $5.7 trillion was held in traditional IRA accounts in the U.S., according to the Employee Benefit Research Institute. Let’s walk through a few basics. The IRS has yet to completely update its Publication 590 explanation of 60-day rollover examples. But we do know that the new rule taking effect in 2015 brings 60-day rollovers into alignment with other important IRA regulations. In many instances, the IRS has viewed all of a given taxpayer’s IRA accounts as one big pile. 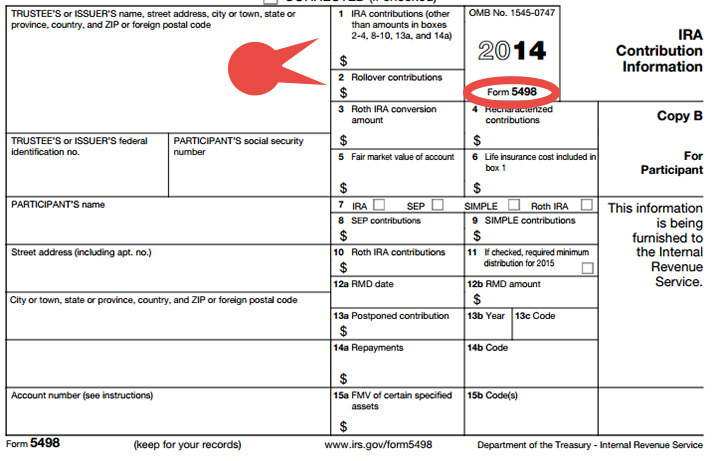 For example, the nominal, deductible, personal IRA contribution for 2015 is $5,500. That means you may split this contribution between traditional, Roth or Simplified Employee Pension (SEP) IRAs, but you can contribute no more than $5,500 in aggregate. Similarly, if you entered required distributions, you can aggregate annual required minimum distributions (RMD) across as many “traditional” IRAs (including rollover, non-conduit, SEP, and SIMPLE IRAs) as you please. So long as the RMD is taken by December 31, it doesn’t matter if you take a portion from each “traditional” IRA, the entire amount from one IRA or any other combination. 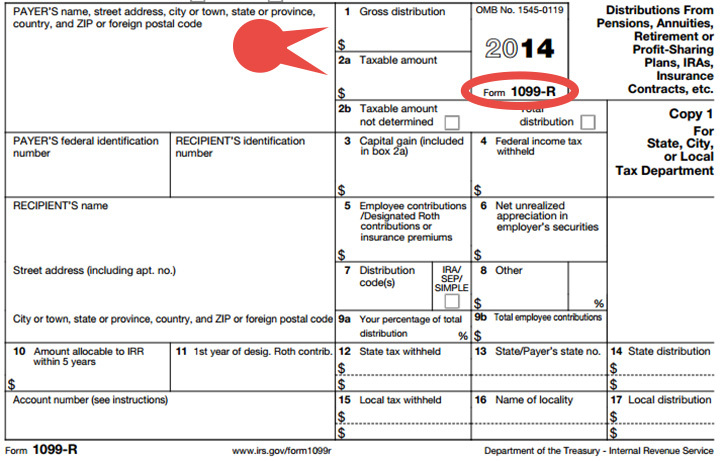 Reporting IRA distributions and contributions typically involves two IRS forms, the 1099-R and the 5498 (see figures 1 and 2). Investors report any distributions from IRAs, pension plans and other retirement accounts on this IRS document. Source: Internal Revenue Service. For illustrative purposes only. This is a distribution from an IRA in which the account holder takes “constructive receipt” (a check in the IRA owner’s name, for instance) of the distributed assets, then contributes the same assets back into an IRA of the same type within 60 days of receiving the distribution. If the assets are not re-contributed to an IRA within 60 days, the distribution is final and may be subject to taxes and penalties. Investors report any contributions to IRA accounts on this document. Source: Internal Revenue Service. For illustrative purposes only. This occurs when an IRA owner moves assets from one IRA to another of the same type, but does not take constructive receipt of the assets to be moved. The assets always remain in the custody of an IRA trustee. A direct transfer can occur between IRAs under the custody of one firm or between different firms. If the IRA owner receives a check for further delivery to an IRA at a different firm, the check must be made payable to the IRA. If it is payable to the IRA owner, it is a distribution subject to ordinary tax and penalty, unless re-contributed as a 60-day rollover. To speak with a Retirement Consultant about the benefits and risks of a rollover, or to discuss other objectives, call 800-213-4583. This happens when assets from a qualified employer plan are transferred to another employer plan or an IRA account, or from an IRA into an employer plan. Again, the taxpayer may never have constructive receipt of the assets. Different people have different reasons for shifting assets between his various retirement accounts, of course, and as we’ve written before, you need to make sure you understand what’s involved. Whatever you do, be mindful of the new 60-day rollover interpretation so you don’t run afoul of the law. It’s sort of like compiling your annual list of New Year’s resolutions: you get one chance to do it every year, and then plenty of chances to screw it up. You only get one 60-day rollover per year, so use it wisely and consider other options if the opportunities arise.